Working with nonprofit and social impact organizations, Whole Whale is closing the nonprofit data knowledge gap. After spending his earlier years working client-side at nonprofits, George Springer decided that he wanted to direct his time and talent toward helping nonprofits make the best use of technology to better achieve their aims. That led to the creation of Whole Whale. We spoke with Springer about his team’s focus, his management ethos, and whale blubber. Thanks for chatting with us. Just curious: How did the name come about? Makes sense! So how does Whole Whale deliver the whole whale? We’re a social impact tech company that works exclusively with nonprofit and social impact organizations. A large vision of what we are doing is more focused around closing the nonprofit knowledge gap with regard to data and technology. We provide direct services with regard to Google analytics, A/B testing, digital advertising and the like, focused around training the nonprofits we work with, which then allows them to create products and content that serve the larger marketing sector. We have the luxury of working with clients that get it. We actually turn down about half of the people that come in through the door just because we don’t think they have the right time, place, or approach. So when we’re working with clients, sure we can aim to hit a date, but most of our work is done on a retainer basis where we are moving toward a goal that we set and define together. And we have the flexibility to make sure that it happens. Is it difficult to be agile in this environment? I implemented that because it was the only thing that makes sense. The waterfall, data-driven development usually ends in tears. If you think about a product as more iterative, it is just a better approach overall. So internally, we divide up in sprints, and we’re on a two-week sprint cycle. We do that for both soft and technical tasks. We actually have two different systems working because I don’t think there is a one-size-fits all; there is the right tool for the right problem. Agile is the only thing that makes sense in my world. We’re pretty manic about it internally, in terms of what the client sees. So, how do you manage productivity? And how do you communicate that with your customers? You know I think when I started, I was just constantly saying, ‘Here’s what I’ve done for you lately,’ measuring things in the number of line items on an Excel sheet that I can check off. Now what I am realizing more and more is that it was more about the relationship and communication with the client. Internally, we have a very rigorous sprint review where we have worked against the goal that we determined based on a power output per day per person, and so each person is against against themselves in terms of how much you did last sprint vs. this sprint. We break that down by client as well so we get units of tasks, and we have a translation of that to Pivotal Tracker. I’m a big believer that our current business models are really broken, the way we did work really broken, email really broken. So I try to throw out as much what industry would tell you. 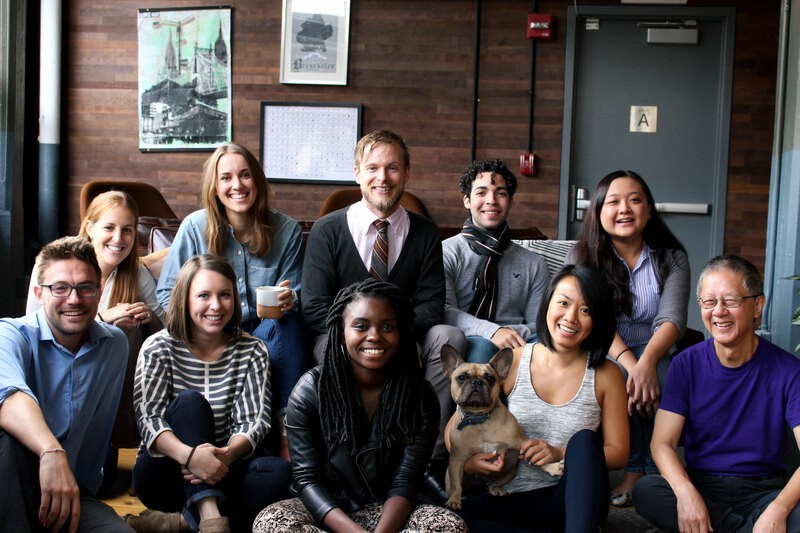 My number one goal is: how can we make this hands-down the best possible place to work? It starts from that seed, and then we work through the systems and processes so that people have the framework and ingredients to succeed with regard to delivering products. We have unlimited vacation. We don’t count hours. We don’t count sick days. It’s work-from-home Friday and everyone knows it’s about things getting done, not about hours in the office. It’s not about hours in the office and I think that reflects on how we communicate to our clients as well. It’s about things getting done, so we do set some tough goals to chase after. How do you think Tracker and the other available technology has helped facilitate this philosophy? We currently have three active clients on [Tracker] and have pulled in our internal product, an SMS product called ‘All Good Texts.’ The thing it’s beginning to help with is saying, “What is the full load that’s on our plate in any given sprint?” and mapping that up. Cross-project aggregate views really help. I think we intuitively figured out how to set up a sprint style that mapped with our system and using various tagging categories to make sure that those mapped up. What matters is staff buy in and that you adopt a process that will work. Internally we have a very clear vision and five-year goals trajectory for what we hope to achieve, a larger vision of what we are working for. We’re growing methodically. Want to share your team's story? Please email us and tell us a bit about your company.